The Beauty Closet Reviews... Drugstore Facial Mask Review! This super-rich mud mask contains just the right amount of moisture that allows it to exhibit a tightening effect as it dries and then turns into an easy-to-peel rubber-like texture. 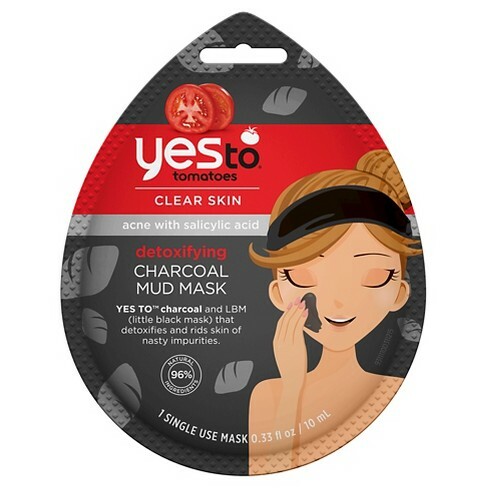 Formulated with salicylic acid and charcoal to not only rid the skin of dirt & impurities, but deeply detoxifies as well! As an added bonus, you don't have to spend tons of cash to snag this awesome mask! Get 2 uses out of this portion offered up for under $4! Rid the skin of impurities while also sloughing off dead skin that will cause dullness to reveal healthy, smooth, & radiant skin! Contains coconut oil, shea butter, Hibiscus flower, and Songyi mushroom extract that will leave the skin nourished, soft, and luminous :) Simply apply a medium layer of product on the entire face and allow to dry for 10-15 mins and then rinse off with lukewarm water; I found that is was easy to remove with a damp, clean washcloth. No DEA, no glutens or mineral oil, PABA-free & paraben-free, and void of sulfates, synthetic colors or fragrances! That makes this one great for those with sensitive skin and one of my favs out of this entire bundle.